Bracelets are one of the fashion items that come in many varieties and types. They are basically jewelry items. There are bracelets which are made from expensive beads but there are also some which can be homemade and can be used with anything. Today we will be discussing the bracelets and the process to make glass beads bracelet at home. 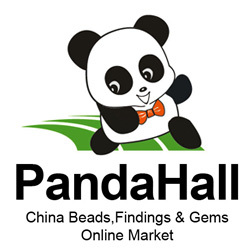 There are many types of beads present in the market and one has to choose which type of bead matches with his look. Glass beads also come in a lot of variety according to their color, size and manufacturing process. Crystal beads are those beads which are made with the leaded glass. They have a high shining property. These beads are mostly used on the dresses. These are Japanese glass beads and are cylindrical in shape. They are small in size and have large holes in them. These beads are cut at many edges. They look like gemstones but are made of glass. The cutting at the edges gives them shine. These were some main type of beads. The user has to measure the wrist size and cut the wire or the string a little bigger than that. Now put a clasp on one end of the wire and hold the wire from the second end. Now put beads into the wire and fill it to the length desired. You can put a different color of glass beads to give it new look. The beads should be on the wire for the complete length. There should not be any gap between the beads. But it should not be very much tight. If you are using hard wire like copper wire then you have to use the pliers to tie a knot. But for the case of simple string and the elastic you do not have to tie the string. You can give it a square knot like the knot we give to our shoes. Then try to put the knot under a bead hole. These were the steps that were used to make a bracelet on your own. For first timers, I recommend going for the elastic. You can work with copper wire but it is difficult to put a design in the wire.